Fatima has ten years experience in the Telecommunications industry in the areas of Staffing, Recruitment, Sales, Account Management, Operations and Delivery. Currently, Fatima is working to grow Fusion Technical to its fullest utilizing her expertise in immigration services to bring engineers and consultants from overseas to serve the current market demands of our clients. 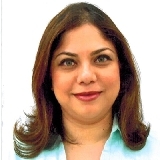 At Fusion, Fatima manages a large team of Technical Recruiters supporting IT and Telecom clients. Instrumental in initiatives company-wide. Besides Management, Fatima works as a Technical Recruiter as well and was involved in hiring engineers who support design, development, integration, verification, testing and deployment of hardware, software, networks and solutions. Fatima has successfully placed engineers for vendors and operators at all levels, from a Junior Test Engineer to a Senior Solution Architect. Fatima is the go-to person for immigration related issues and have successfully placed consultants on visas for ten years. Prior to joining Fusion, Fatima was employed at PDS Tech as a Technical Recruiter and Account Manager supporting some of the key accounts. Fatima is a graduate of the University of Texas at Arlington where she holds a Bachelors of Science degree in Economics, Minor: International Business. Vic leads all new business and market development initiatives. 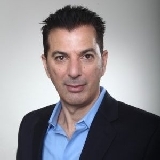 He has more than 20 years of experience leading sales organizations in technology and staffing companies. Vic brings a wealth of business development understanding, performance metrics and client service optimization to Fusion Technical Solutions. 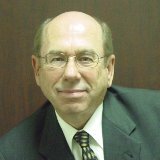 Prior to joining Fusion Technical Solutions, Vic served at Director and Vice President levels at Hudson, a global technology staffing firm, where he led the North American telecom staffing business. Before Hudson, Vic was a Regional Vice President at SCB Computer Technology (now part of Ciber). Earlier in his career, Vic served in sales and regional management positions at a division of Schlumberger.